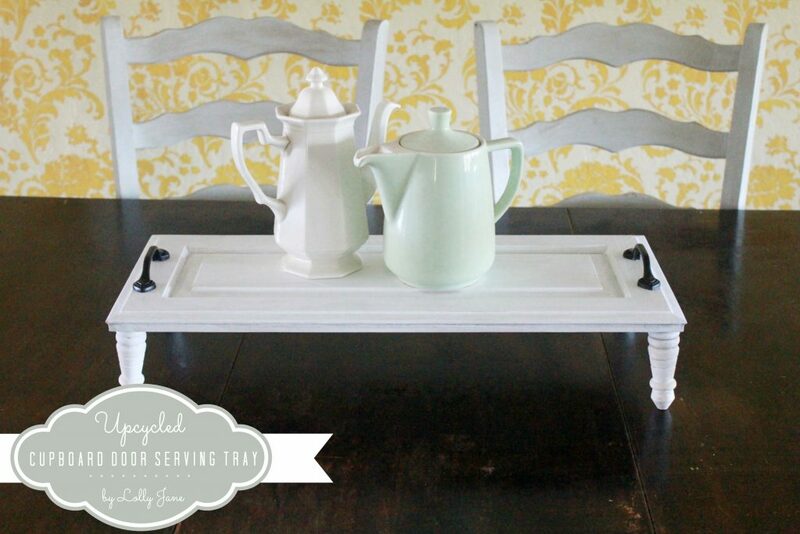 I love the end result of this cupboard door serving tray. When I was describing it to Kristi, she gave me a sideways glance…you know the one your mom used to give you in high school whens she was suspicious of you? Yep, that’s the look Kris gave me. I tried telling her that upcycling a cupboard door and adding feet would be a cute table tray for centerpieces but she thought I was whack! What do you think? ?